Did you ever have trouble opening a PDF file because your computer / smartphone / tablet didn`t have the proper software application installed? So did many other people! Though generally considered one the “safest” and most convenient formats to use for your documents, PDF (Portable Document Format) has the disadvantage of requiring an external application or plug-in that might not always be quick to install and usually requires long loading times. 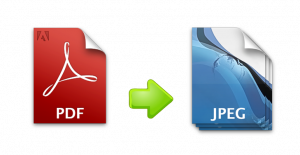 One simple way to avoid all that trouble is simply converting your PDFs into JPGs or JPEGs. This is one of the most popular image formats and can be accessed and handled a lot easier. Some browsers do not require an external application to view JPEGs and take a lesser time to open them. Decide what kind of convertor best suits your needs. Will your images require professional editing? Will you want to convert several file formats? (Not just PDFs, but also EPSs and AIs. Not just JPEGs, but also Vector and RAW images.) Or just need a small and handy image converter that covers most formats, from PNG to BMP and JPEG? Download a piece of quality software, such as ReaConverter from http://www.reaconverter.com/download.html. This will allow you to do batch conversions and have plenty of useful and easy-to-use features. According to what you decided at Step 1, choose the Pro or Standard version of the software. Launch ReaConverter and easily load one or more files that you intend to convert. 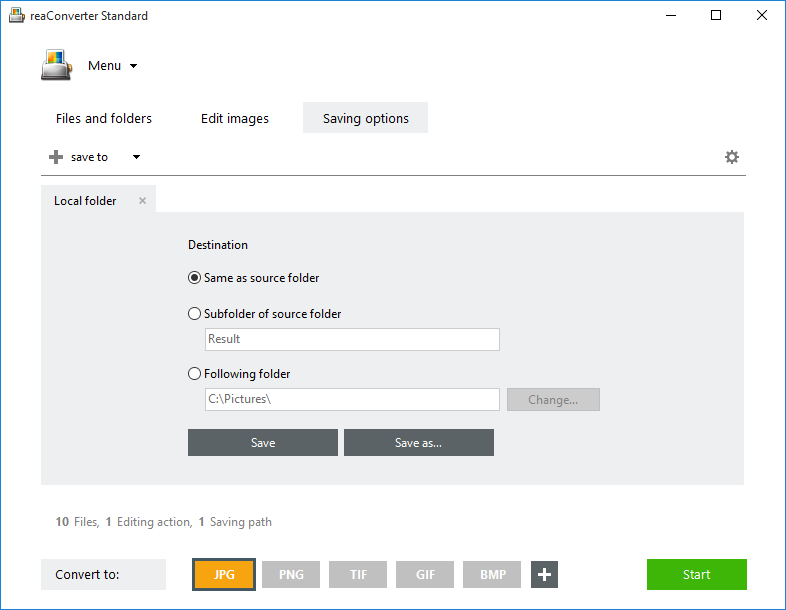 To make sure the resulting image files won’t be absolutely huge, as JPEGs sometimes tend to be, adjust your resolution settings at Menu – Options – PDF/EPS/EPI/PS/AI loading settings. For example, if you want an output file that is easy to handle, change the loading resolution from 300dpi to 72dpi. 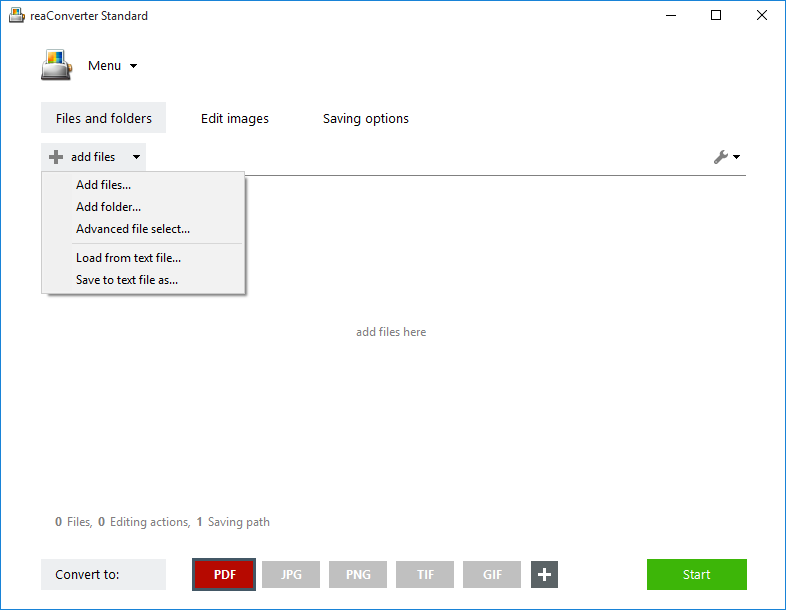 In this section you can also decide if you want to convert every page of multiple-page files or just some pages (Menu – Options – Multipage loading settings). Go to the next step and decide if you want to resize, rotate, crop, add watermark or apply other effects to your output image. 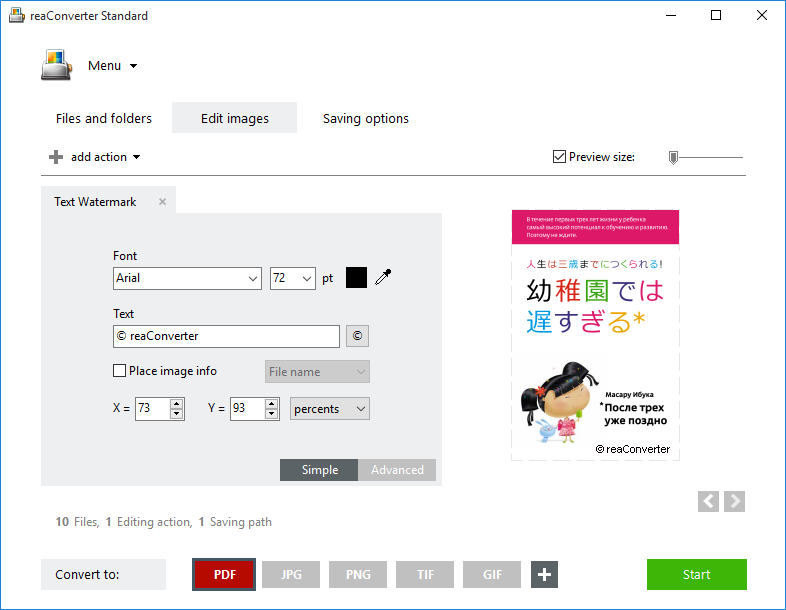 In case you are doing a batch conversion, you can opt here for Batch Image Editor. Here are more details about how to use this option. And if you chose ReaConverter Pro, your job will become even easier because you can use the Automatic Image Editing. Choose a destination for the resulting image file and its format. Then start the conversion. It will be ready in no time! Enjoy your newly converted image files and use them fast and easy on any device you like! This entry was posted in Document conversion and tagged converter, jpeg, jpg, pdf on December 24, 2012 by reaconverter.